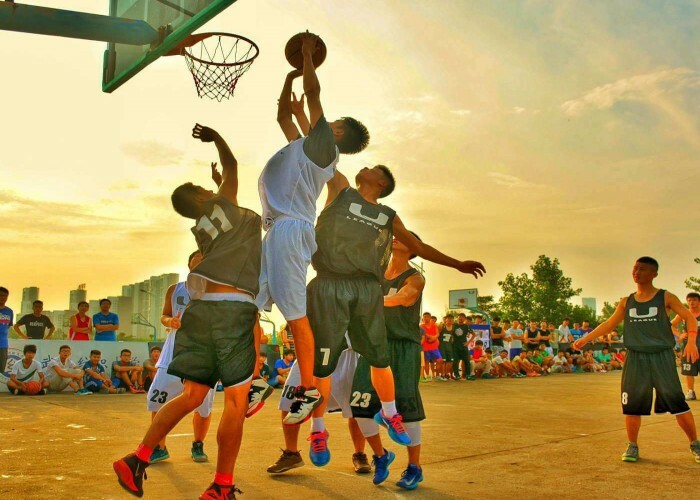 Basketball is one of the world’s most popular team sport in which two teams compete on a rectangular court by scoring more baskets than the other team. The sport was originated in December 1891 by Dr. James Naismith, a physical education professor and instructor at YMCA in Springfield, Massachusetts. The sport was originally played with a soccer ball and gained popularity first in America and then throughout the world. 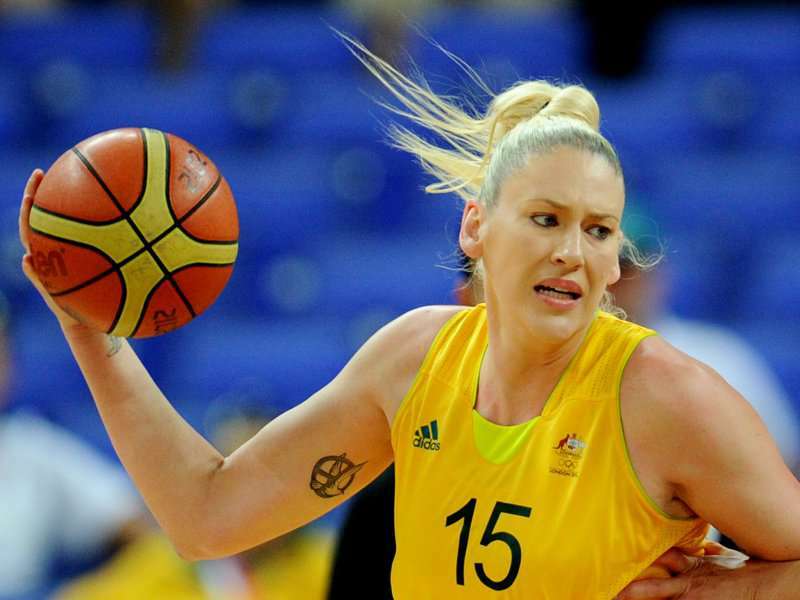 Men’s basketball is a part of summer Olympics since 1936 while women’s game since 1976. The global governing body of basketball is Fédération Internationale de Basket-ball (FIBA). 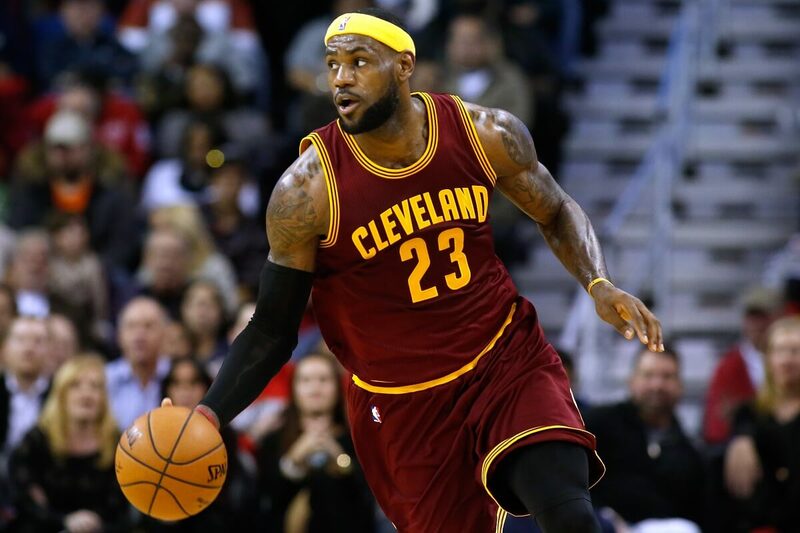 The American National Basketball Association (NBA) is considered to be the most popular and highest level of professional basketball in the world. To score more points than the opponent team by scoring more baskets. Two teams of five players each side compete against each other. The players are generally referred by their playing positions on the court which include a point guard, shooting guard, power forward, small forward and center. The size of basketball court varies according to the federations and the level of play. 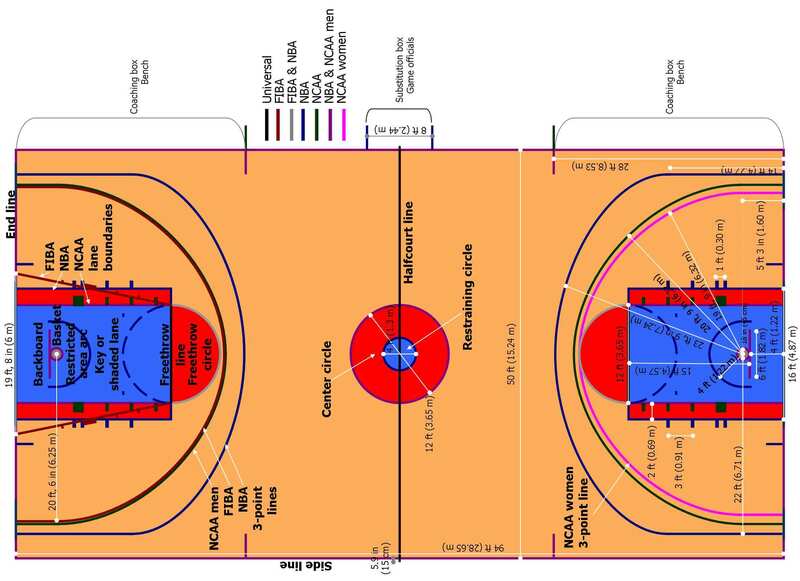 Under NBA rules, the court is 90 x 50 feet while according to FIBA rules, the court measures 92 x 49 feet. The high school court measures 84 x 50 feet. A free-throw line (the key) is marked at 15 feet from the basket and is 16 feet wide for NBA and 12 feet wide for NCAA. The baskets are always 10 feet above the floor except in youth competitions. The court is also marked with a 3-point arc at both baskets which is 19.75 feet from the center of the basket in high school competitions, 20.75 feet in NCAA, 21.65-22.15 feet in FIBA and 22-23.75 feet in NBA. The court should have a minimum of 25-27 feet height. 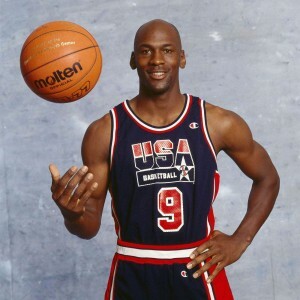 He is a retired professional basketball player from the United States who is regarded as the greatest basketball player of all time and has played an important role in popularizing the NBA in the 1980s and 1990s around the world. He is a three-time NBA champion, a four-time NBA Most Valuable Player, a two-time Olympic gold-medalist being a part of the US Men’s basketball team and has won many other accolades. 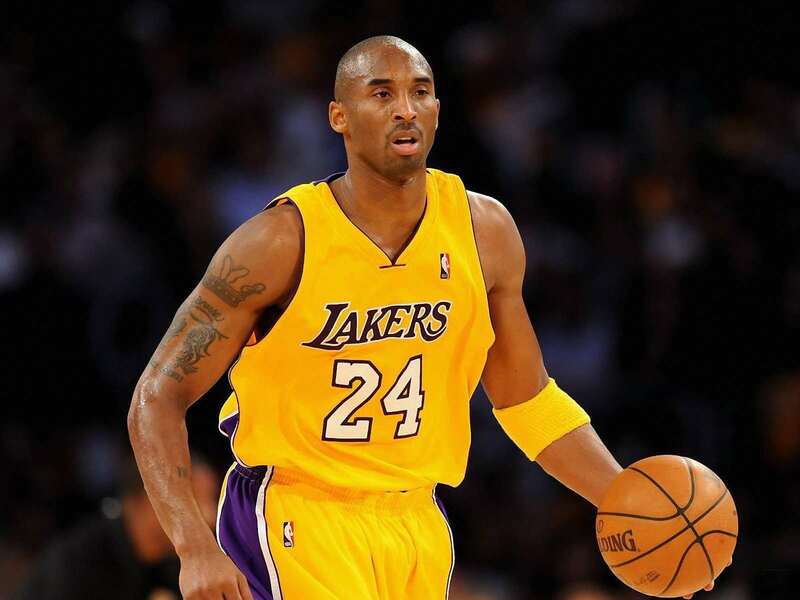 He has played on the position of Shooting guard with the Los Angeles Lakers of the NBA and a five-time NBA champion, 2008 NBA Most Valuable Player and an 18-times NBA All-Star. She is a former professional basketball player from Australia who is a three-time silver medalist at the Olympics being a part of the Australian Women’s National Basketball Team. 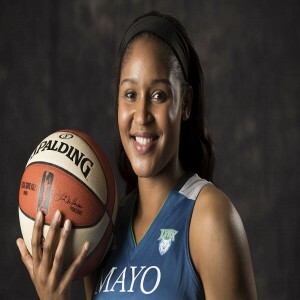 She is a retired professional basketball player from the United States who has played as a small forward for the Indiana Fever of the WNBA for her entire 15-year career. 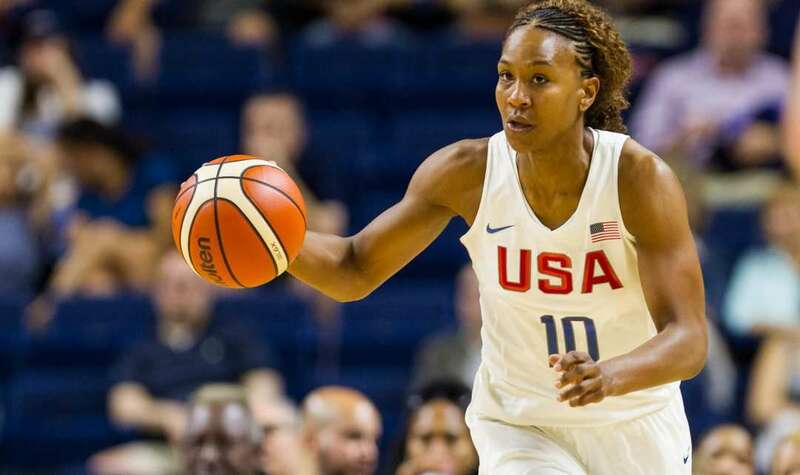 Her team is a four-time Olympic champion. She is a small forward for the Minnesota Lynx of the WNBA who has won the Naismith Prep Player of the Year award in the years 2006 and 2007.